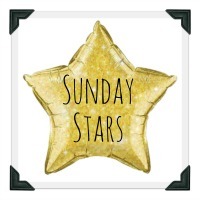 Welcome once again to our fabulous Sunday Stars linky, where as always, it’s the perfect place for you to share your favourite posts each week with the rest of the world!! It’s been a wee while since I last hosted one of these as I was on holiday so I can’t wait for all you lovely lot to join in again. But just to confuse things, for this week it’s myself with the lovely Sarah of Extraordinary Chaos and Amy of Everything Mummy – I’ve had to ship in some extra help as I’m playing nurse at the moment at home so could do with the extra commenting assistance seeing as we are growing more and more by the week! Which also means extra ‘sharing of the love’ for your super duper blog posts. You can tweet your posts to either myself at @midlife_mummy, Amy at @AmyCooperEM or Sarah at @sarahjchristie and remember you can also tweet the @SundaysStars account using the hashtag #sundaystars and we will RT for you. We’ll even be pinning your posts to the Sunday Stars pinterest board! Each week we have more and more wonderful people linking up their fabulous posts, so we’ve also decided it would be a great idea to give a shoutout to our hosts’ ‘star posts’ from the previous week. Katie of Mami 2 Five chose: ‘What’s The Worst That Can Happen?‘ by Carry On Katy and our lovely Karen from Stopping at Two chose: Carry On Self-Catering by International Elf Service, which she found hilarious! Next weeks hosts will be our fabulous Amy from Everything Mummy (again!!) & the wonderful Heledd from Running in Lavender so be sure to keep an eye out for them next Sunday. Please add our badge at the bottom of your posts a this lets others know where you’re linking up to.